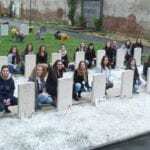 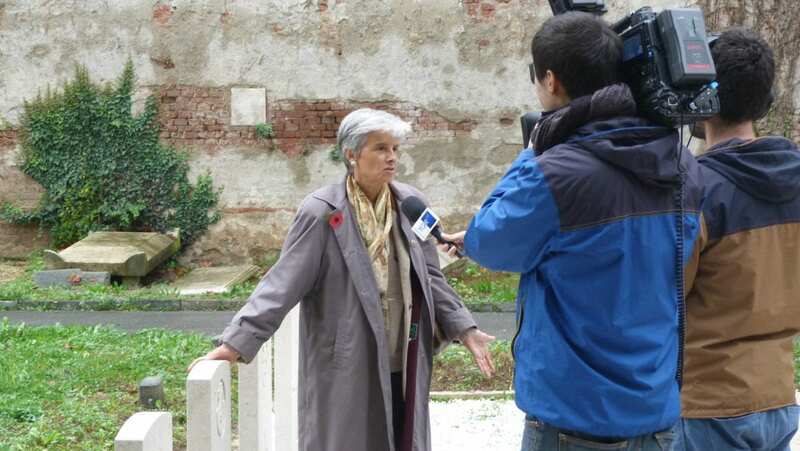 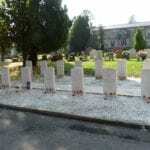 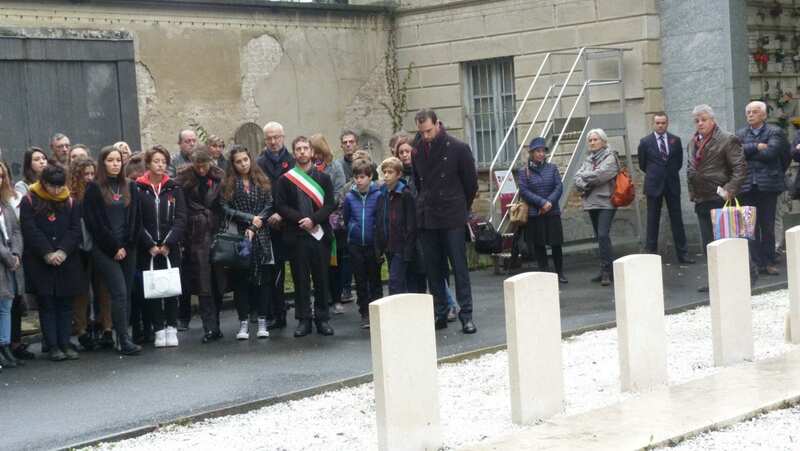 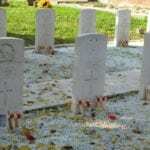 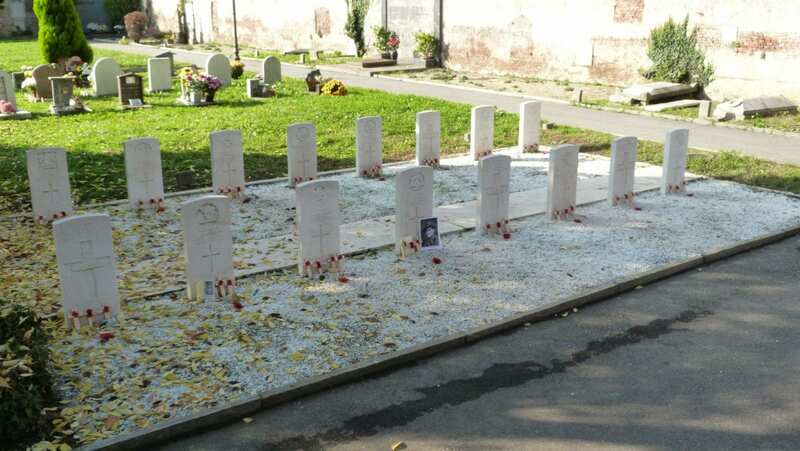 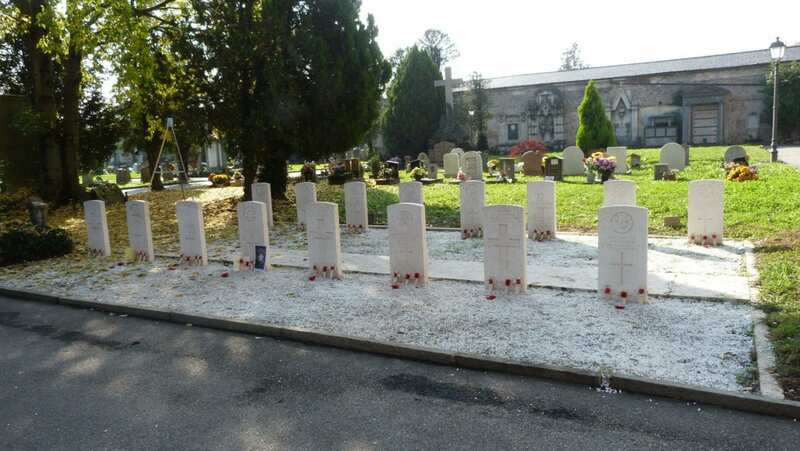 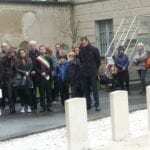 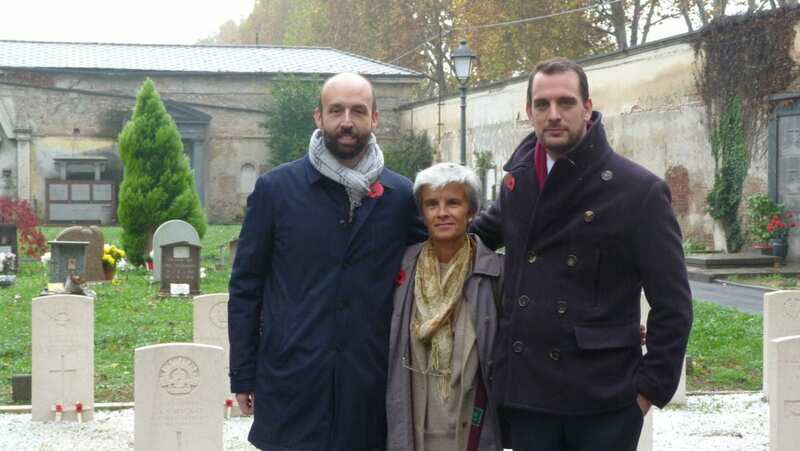 The ‘Turin Men’ were commemorated in Turin, Meana di Susa and Oulx cemeteries on 11 November 2018, the centenary of the Armistice. 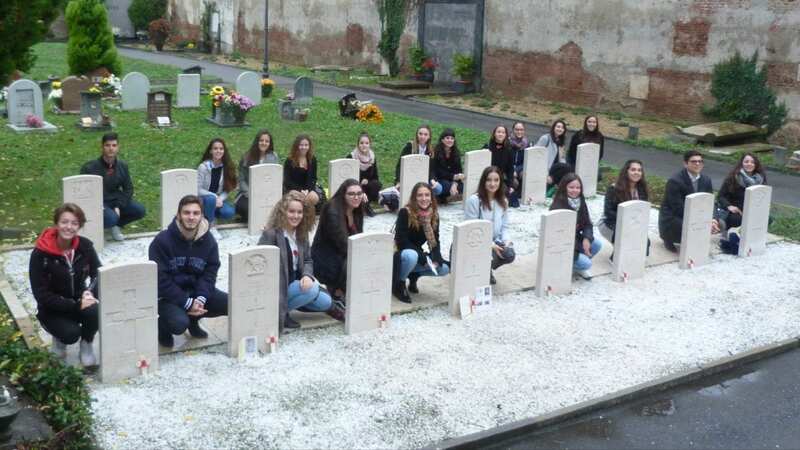 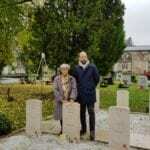 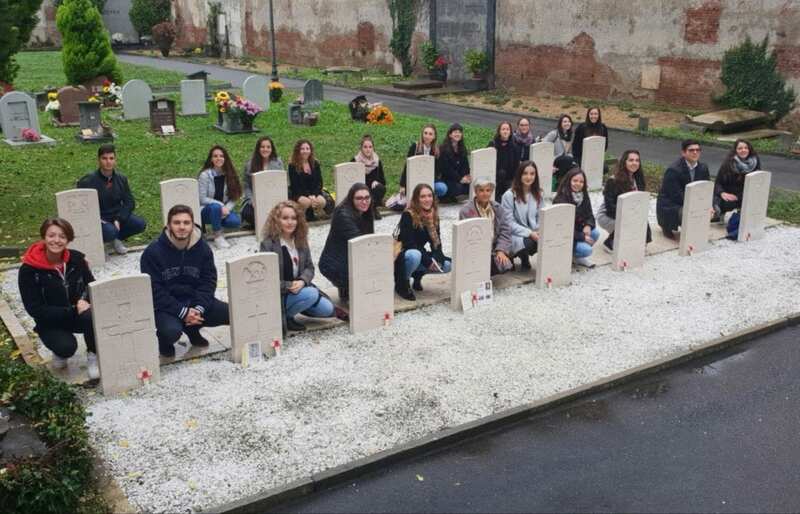 Emma Pace and students of Class 5H from the school, IIS Blaise Pascal were able to pay their respects and lay poppies and crosses at the graves of the men whose stories they had been studying. 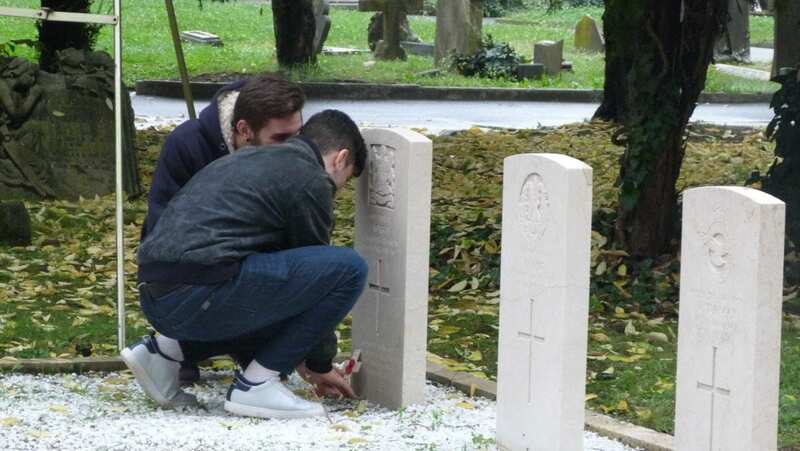 Descendants of Evan Lewis and Alexander Mackay had sent their own tributes on cards and photos which were placed at the graves of their forebears. 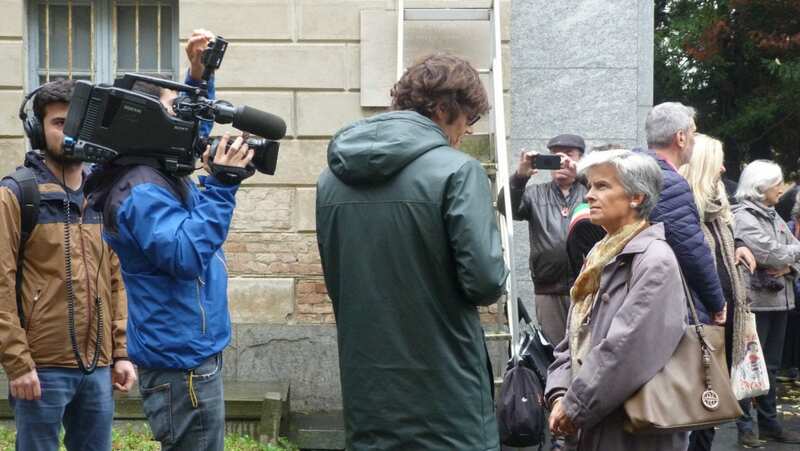 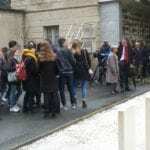 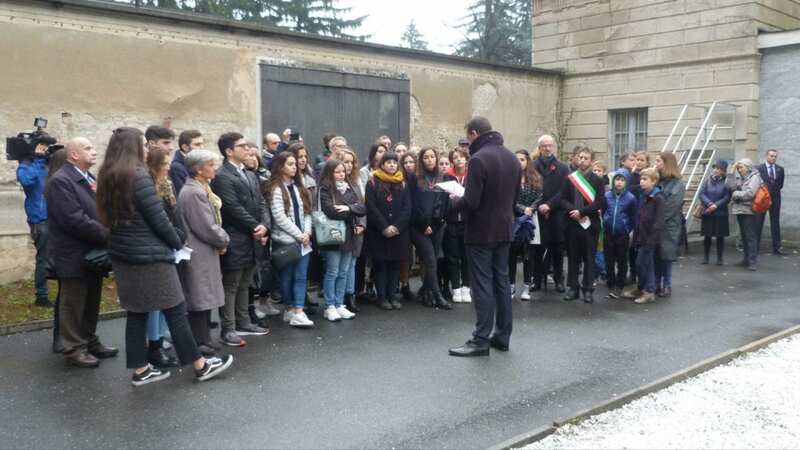 Other local people joined the ceremony along with representatives from the press and television, which had been arranged by Andrea Parodi from La Stampa. 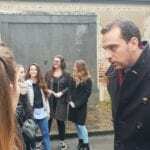 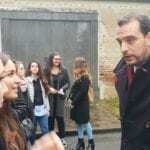 Mr Adam Jones from the British Consulate in Milan officiated and read the Exhortation. 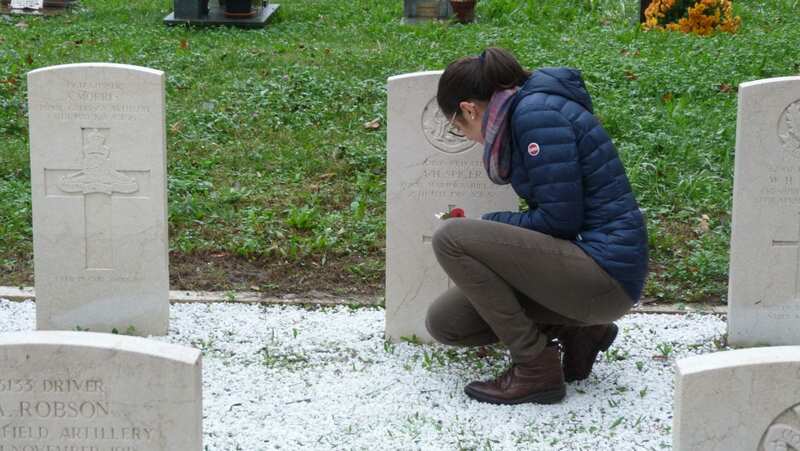 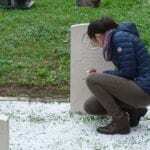 Later in the day Emma made the journey to the cemeteries in Meana di Susa and Oulx to ensure that the two soldiers there were not forgotten. 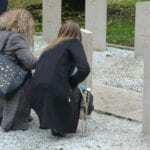 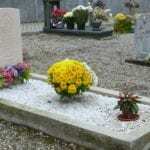 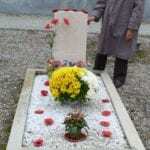 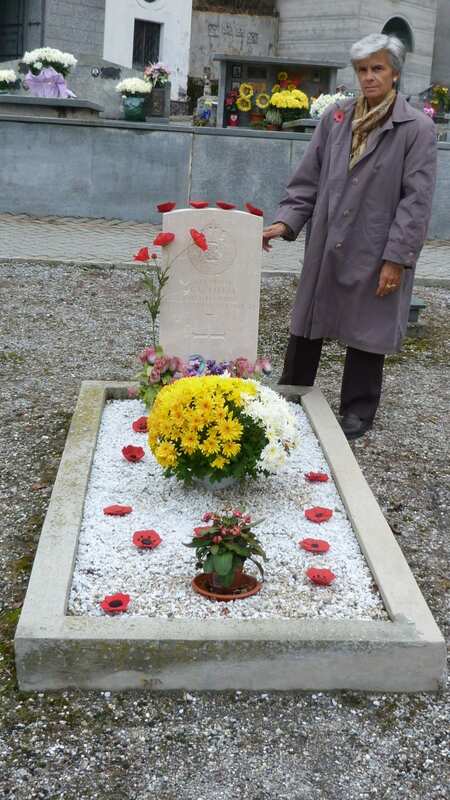 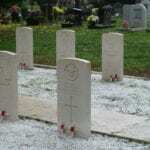 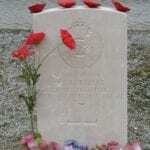 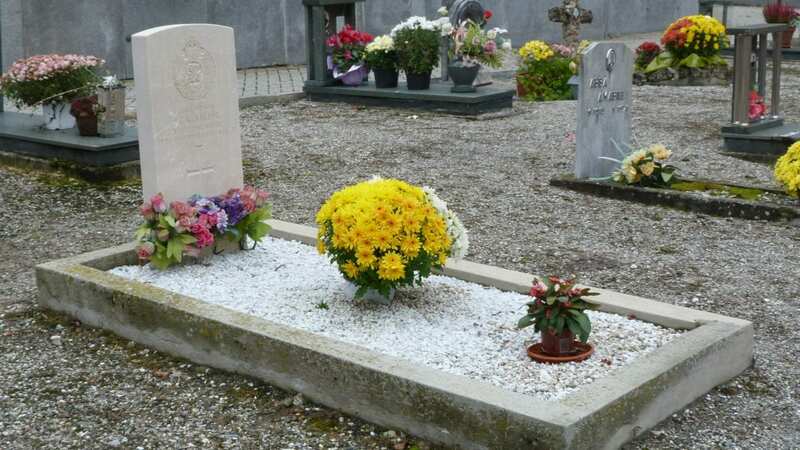 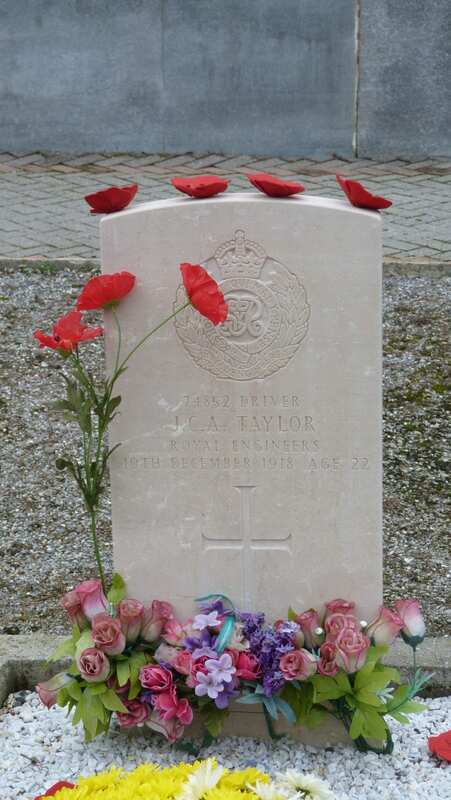 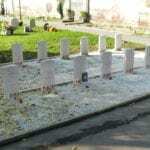 As in Turin, flowers and remembrance crosses were placed at the headstones. 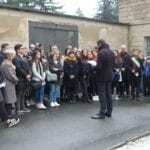 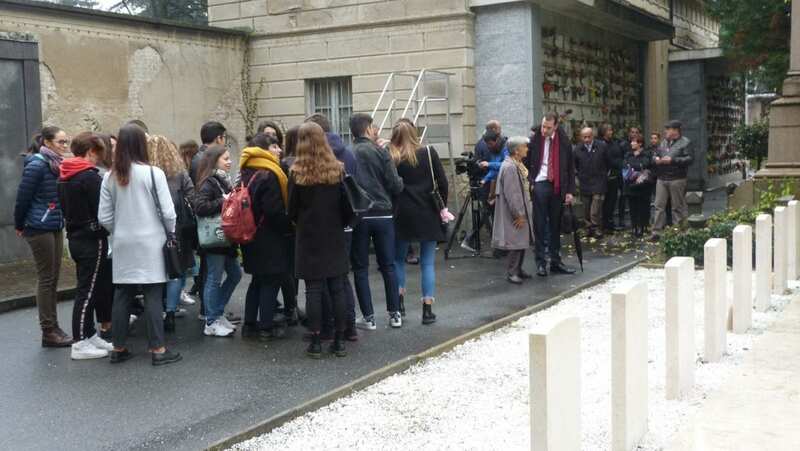 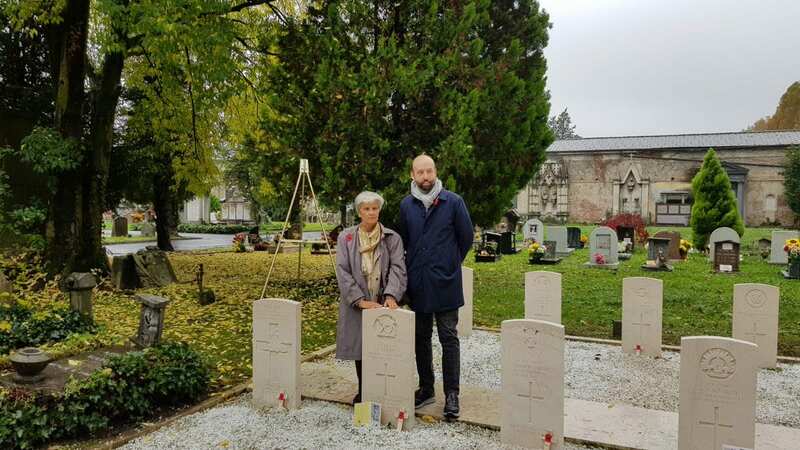 Staff at the school, IIS Blaise Pascal have created a video from the ‘Turin Men’ commemoration on Remembrance Sunday using the photos taken on the day. 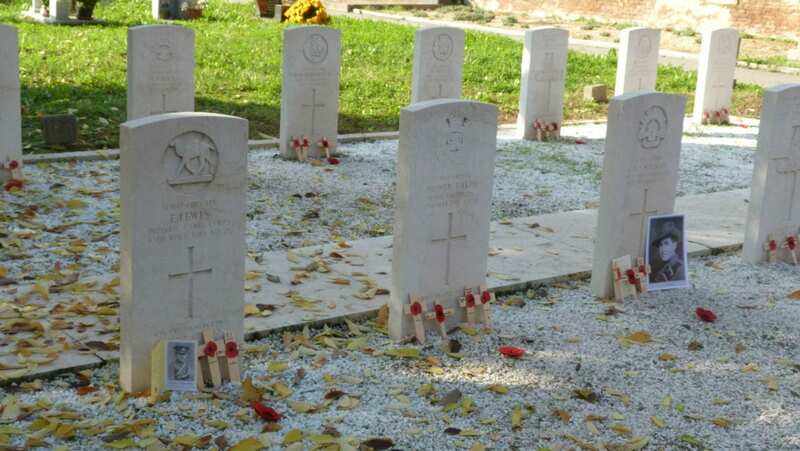 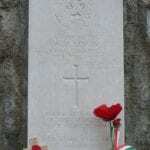 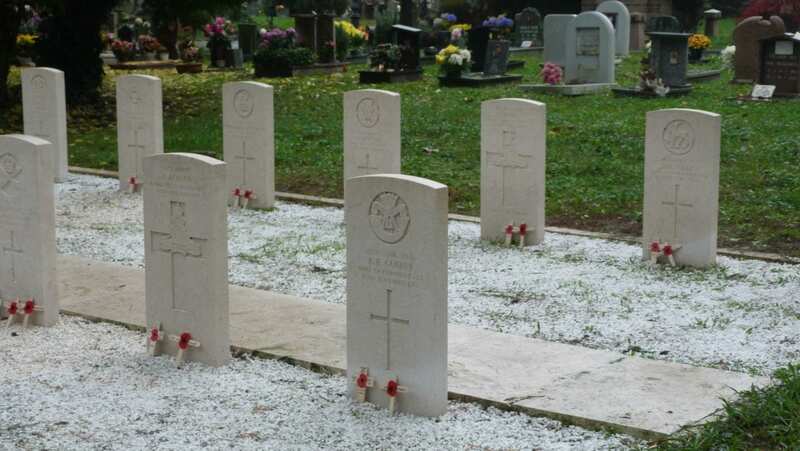 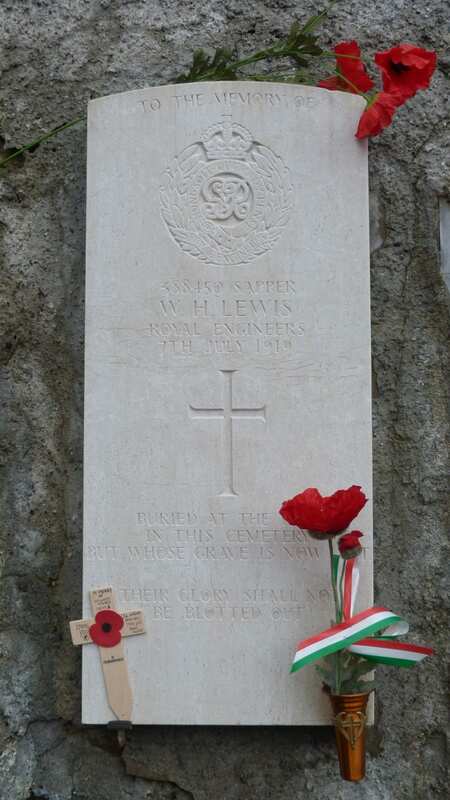 Each soldier in the Turin, Meana and Oulx cemeteries is honoured. 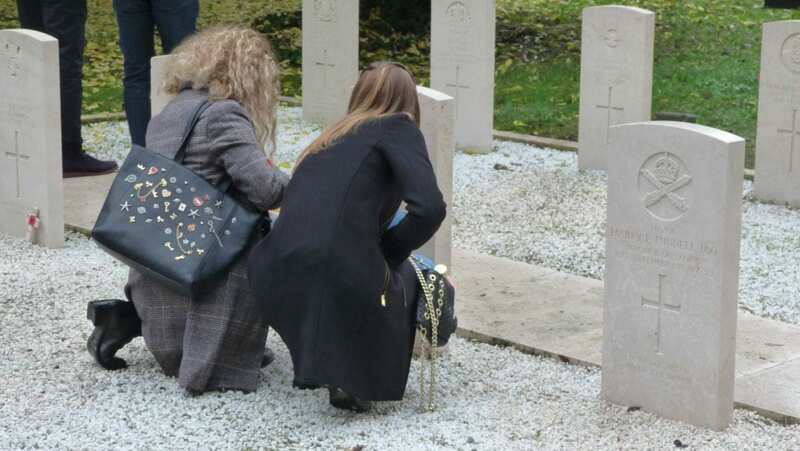 This lovely record of the event is available to view on the school website by clicking here.